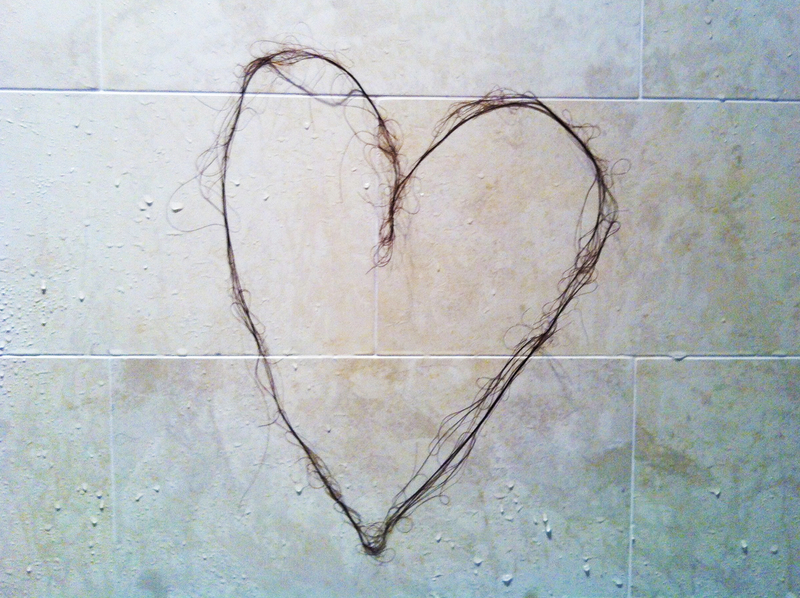 When sharing a bathroom with my sister Emmie last weekend, I made this grotesquely beautiful heart out of the hair that had been shed in the shower. It was nasty and amazing. Emmie hated it. Grow your hair out long, don’t brush it before you shower. Don’t be afraid of your shower-mates’ hair. Collect it from the drain! Keep the strands very wet while designing so it doesn’t stick to your bod. *for the record, this was a shared shower after several days. sorry for grossing ya’ll out! I think its beautiful and inventive. all the haters can back off. I, Zach Appel, wrote that last comment. I love a good arts and crafts project, especially when the supplies cost zero dollars bc they grow atop ones head. What i do not understood is altuacly how you are not really much more well-liked than you may be right now. You’re so intelligent. You realize therefore considerably relating to this subject, made me personally consider it from so many varied angles. Its like women and men aren’t fascinated unless it is one thing to do with Lady gaga! Your own stuffs excellent. Always maintain it up! Your art school and hair stylist would be so proud of your creativity; and your local plumber must be standing by the phone waiting for the service call.